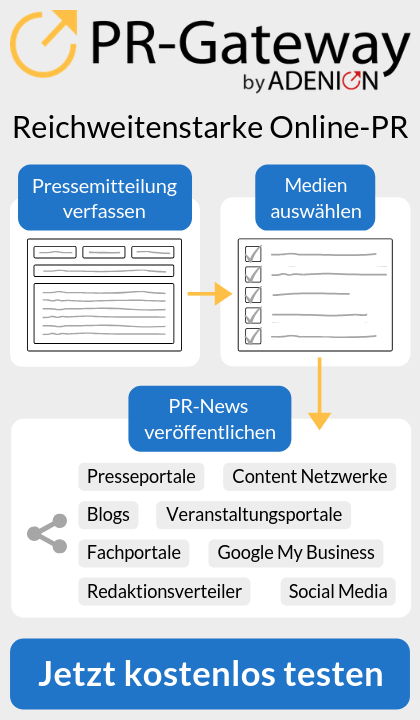 (Mynewsdesk) Kindermann, als Exklusivdistributor von Neets Mediensteuerungen für Deutschland und Österreich, stellt zwei neue Lösungen vor, die die Steuerung von AV-Systemen für Präsentationen einfacher und intuitiver machen: das Neets Touch Panel und Neets Control QueBec Pro. Das neue Neets Touch Panel hilft in technisch gut ausgestatteten Konferenzräumen, die einfache Kontrolle über alle AV-Systeme zu behalten, so dass sich die Präsentierenden auf ihren Vortrag und ihr Publikum konzentrieren können. Das sieben Zoll Touchdisplay bietet eine übersichtliche und per Fingertip bedienbare Benutzeroberfläche, über die auch erweiterte Funktionen leicht abrufbar sind. Die Konfiguration des Touch Panel erfolgt über die eigene Neets Software, mit der auch individuelle Ansprüche und das Corporate Design umgesetzt werden können. Das Touch Panel eignet sich sowohl für die einfache Installation an der Wand als auch zur Aufstellung auf dem Besprechungstisch. Der integrierte Bewegungssensor aktiviert das Display, wenn sich Personen in seiner Nähe befinden. Die Stromversorgung erfolgt über PoE (Power over Ethernet) und vermeidet so aufwändige Verkabelungen. QueBec Pro ist eine kompakte AV-Lösung, die speziell für kleine und mittlere Meeting- und Schulungsräume entwickelt wurde, um dort Displays oder Projektoren zu steuern. Die Steuerung erkennt automatisch das anliegende Signal, startet die Raumfunktionen und schaltet – ebenfalls automatisch – auf die verfügbaren HDMI- oder VGA-Quellen. Dank der Signalerkennung können Präsentationen in Sekundenschnelle gestartet werden, ohne dass eine Fernbedienung benötigt wird. QueBec Pro ist bestückt mit zwei bi-direktionalen RS-232/IR Ports, zwei GPIO Ports, Relay-Out, VGA-Loop und einen HDMI-Switcher, der drei Eingangssignale auf einen Ausgang schaltet. „Idealerweise muss die Technik einfach und intuitiv steuerbar sein. Mit dem neuen Neets Touch Panel und QueBec Pro lassen sich per „Touch“ Display oder Projektor und Leinwand aktivieren, die Jalousien schließen und das Licht dimmen. Schluss mit der Suche nach Fernbedienungen und mehreren Handgriffen, bevor die Präsentation starten kann“, erklärt Jens Zechmeister, Market Development Manager und Product Management, Kindermann GmbH. Die neuen Produkte sind voraussichtlich ab April in Deutschland und Österreich exklusiv über den Distributionspartner Kindermann erhältlich. New Clevios(TM) PEDOT:PSS hardcoat at the Printed Electronics Show, Santa Clara, California. Advanced electronic materials play a key role in touch panel technologies, such as projective capacitive touch screens (PCTs) and sensors, as well as in printed electronics applications. Heraeus, the leading producer of Clevios(TM) PEDOT:PSS (http://heraeus-clevios.com) conductive polymers, is to introduce a two component hardcoat lacquer which enables coatings of enhanced mechanical stability on a broad range of substrates. Scratch and chemical resistance are key factors in many functional substrates used in electronic devices. A new Clevios(TM) two component hardcoat formulation, which allows films of high rub and solvent (ethanol and acetone) resistance, along with pencil hardness of 6-8H, broadens the existing product portfolio. This two component lacquer provides sheet resistance of up to 170 Ohm/sq., transmission of about 90% (including PET substrate) and a haze of 0.6%. Where scratch resistance is critical Clevios(TM) provides the „on plastic solution“ whilst maintaining the flexibility of the film. Key applications include plastics, cover glass and touch panels. The two component hardcoat lacquer is marketed under the names Clevios(TM) F DX-2 and XL. The Clevios(TM) PEDOT:PSS range from the Display & Semiconductor Business Unit comprises of solutions for antistatic to highly conductive coatings. Products are tailored for their application method and specific end use. Clevios(TM) based coatings are increasingly used in touch panels and sensors, as well as OLEDs, and 3rd generation solar cells. The Hanau-based precious metal and technology group Heraeus is a globally active family-run enterprise with a history of more than 160 years. We provide high-end solutions to our customers to lastingly strengthen their competitive position. Our areas of competence include precious metals, materials and technologies, sensors, biomaterials and medical devices, quartz glass and specialty light sources. In the financial year 2013, Heraeus achieved a revenue from the sale of products of EUR3.6 bn, while the revenue from precious metal trading was EUR13.5 bn. With about 12,500 employees in more than 110 companies world-wide, Heraeus is in a leading position on its global sales markets. Effective Partnership: Clevios(TM) PEDOT and the Industrial Technology Research Institute application know-how for the touch panel industry. Effective Partnership: Heraeus providing Clevios(TM (http://www.heraeus-clevios.com/en/home/clevios-homepage.aspx) ) PEDOT conductive polymer materials and patterning agents, and the Industrial Technology Research Institute, Taiwan (ITRI) (http://www.itri.co.uk/) application know-how, so demonstrating new alternative technologies for the touch panel industry. Advanced electronic materials play a key role in touch panel technologies, such as projective capacitive touch screens (PCTs). Equally application know-how plays a vital part in the success of the new material to be used in device manufacture. Together the organizations achieved the transfer from „Lab to Fab“showing that touch panels using Clevios(TM) PEDOT:PSS as the electrode can economically be produced. In a joint project between Heraeus and the Electrical and Optical Laboratories of ITRI a set of 3.5 inch GF1 type touch sensors were built. The work successfully combined Heraeus materials knowledge with ITRI“s strength to develop mass production processes. The touch sensors were based on a Clevios(TM) coated transparent conductive PET with a surface resistance of 150 Ohm per sq. The experts at ITRI subsequently patterned the film using Heraeus invisible etch technology which employs Clevios(TM) SET S, a printable mask. In this initial project between Heraeus and ITRI, the wet chemical patterning process was optimized to meet the required layout, alignment and design. The project has provided the confirmation that fully functioning non-metallic touch panels are ready to be scaled up to production volumes. The Clevios(TM) PEDOT:PSS range from the Display & Semiconductor Business Unit of Heraeus consists of materials for antistatic through to highly conductive applications. Materials are modified for their application method, usually printing or coating, and for their end application requirements. Typically Clevios(TM) coatings can reach 100 -250 Ohm/sq. at a transparency of 90% (excluding substrate film). Clevios(TM) is increasingly finding applications in touch panels and sensors, as well as OLEDs, organic solar cells and security coatings. Further projects with the ITRI Group and Heraeus in the application of Displays are ongoing. ITRI is one of the world’s leading technology R&D institutions aiming to innovate for a better future for society. Based on its long-term partnership with various industry sectors, ITRI offers a wide range of services, from technical to business consultation, to the international community- such as contract research, product and process development, and pilot runs for technological upgrades; IP strategy and licensing, industrial analysis, and talent training for hi-tech business; and the open lab and incubation for new ventures and emerging industries. The Institute has also incubated more than 240 innovative companies since 1973, including well-known names such as UMC and TSMC. Headquartered in Taiwan, ITRI has five branch offices in Silicon Valley, Tokyo, Berlin, Moscow, and Eindhoven to extend its R&D innovation across the globe. The Hanau-based precious metal and technology group Heraeus is a globally active family-run enterprise with a history of more than 160 years. We provide high-end solutions to our customers to lastingly strengthen their competitive position. Our areas of competence include precious metals, materials and technologies, sensors, biomaterials and medical devices, quartz glass and specialty light sources. In the financial year 2013, Heraeus achieved a revenue from the sale of products of €3.6 bn, while the revenue from precious metal trading was €13.5 bn. With about 12,500 employees in more than 110 companies world-wide, Heraeus is in a leading position on its global sales markets. LogiMAT 2014: Edelstahl-IPC mit Multitouch-Bedienung hinter Sicherheitsglas! Mit dem neuen IPC SH 15 STEELPOWER ergänzt die SOREDI touch systems GmbH aus Fürstenfeldbruck, Technologieführer bei IPC mit Multitouch-Bedienung, ihre bewährte Produktreihe „SH Blackline“. Diese Terminals ermöglichen eine kapazitive Gestensteuerung trotz vier Millimeter starkem Sicherheitsglas. Der SH 15 STEELPOWER mit 15 Zoll Bildschirm-Diagonale wird rundum durch ein formschönes Edelstahlgehäuse geschützt. Das Terminal erfüllt Anforderungen in der Lebensmittelverarbeitung, Medizin, Chemie- oder Pharma-Industrie mit Schutzklasse IP 69K. SOREDI touch systems stellt die komplette „SH Blackline Serie auf der LogiMAT in Halle 5, an Stand 165 aus. Spritzwasser und Dampf, aggressive Reinigungs- und Desinfektionsmittel beeinträchtigen die Leistungsfähigkeit des SH 15 STEELPOWER ebenso wenig, wie mechanische Beanspruchungen. Denn das Edelstahl-Gehäuse mit gekapselter Steckerleiste enthält eine Display-Einheit mit neuartiger Architektur: Die oberste Schicht besteht aus vier Millimeter starkem Sicherheitsglas. Dahinter befindet sich ein kapazitives Touch-Panel. Die hohe Empfindlichkeit ermöglicht eine zuverlässige Gestensteuerung, sogar mit Arbeitshandschuhen. Neueste LED-Beleuchtungstechnologie erlaubt den Einsatz bei Temperaturen von -35 bis +45 Grad Celsius. Deshalb können die Geräte problemlos auch in Tiefkühlbereichen verwendet werden. In Lagerlogistik und Lebensmittelproduktion wird der SH 15 STEELPOWER zur lückenlosen Rückverfolgung, Anlagensteuerung, Rezepturkontrolle und Verwiegung eingesetzt. In medizinischen Anwendungen dient er zur Ansicht und Eingabe von Patientendaten oder Anzeige von Röntgenbildern. Denn das Farb-TFT-Display mit 15 Zoll Bildschirmdiagonale liefert kontraststarke Bilder in XGA-Auflösung (1024 x 768) mit einer Helligkeit bis 400cd/m2. Selbst bei schwierigen Lichtverhältnissen verbindet es hervorragende Grafik-Eigenschaften mit hoher Lesbarkeit. Eine erhöhte Durchsichtigkeit des LCD-Panels ergibt 20 Prozent mehr Helligkeit, als bei üblichen Einheiten. Die energiesparende AMD DualCore-Architektur arbeitet mit 2×1 GHz Taktfrequenz und 2 GB RAM Speicher in einem extrem schlanken Gehäuse. Als Betriebssysteme werden Windows 7 und Windows Embedded Standard 7 angeboten. Zum weiteren Ausstellungsprogramm von SOREDI in Halle 5 an Stand 165 auf der LogiMAT gehören Stapler-Terminals der „SH Blackline“ mit CORE i7-Prozessoren von Intel und Multitouch-Bedienung und dies bis zu einer Displaygröße von 21″. Die bewährte SH Serie steht in verschiedenen Architekturen und mit unterschiedlicher Prozessorleistung bereit. Der modulare Aufbau erlaubt unterschiedliche Konfigurationen mit resistiven Touchpanels in Größen von 10 bis 15 Zoll Bildschirmdiagonale. Die SOREDI touch systems GmbH in Fürstenfeldbruck bei München ist ein weltweiter Technologieführer bei Industrie-Computern und Stapler-Terminals. Die Spezialisten für Entwicklung, Fertigung, Vertrieb und Wartung von IPC verfügen über 25 Jahre Erfahrung, die sich in erfolgreichen Projekten bei namhaften Kunden widerspiegelt. Das modular aufgebaute Produktprogramm eignet sich für den stationären und mobilen Einsatz in rauer Umgebung und wird für Aufgaben in Logistik, Fertigung, Lebensmittel- und Prozessindustrie kundenspezifisch konfiguriert. Schlanke Strukturen in Produktentwicklung und Herstellung sichern den Einsatz neuester Technologien, die extrem hohe Anforderungen erfüllen. Damit erreichen Anwender höhere Effizienz und Geschwindigkeit bei herausragender Wirtschaftlichkeit, Zuverlässigkeit und Langlebigkeit der Gesamtlösungen. Zu den Kunden gehören unter anderem Arvato, Edeka, Fraport, Knauf Gips und Minipreis. Aschau am Inn, September 2012 – Die Touch Panele „Premium 15“ und „Premium 19“ von der Primo GmbH www.primo-gmbh.com sind industrielle Panel Computer, die für raue Umgebungsbedingungen konstruiert wurden. Sie bieten für Interaktionen mit dem Benutzer einen resistiven IP65 Touchscreen. Von der Automobilindustrie bis hin zur Bauindustrie – überall erfüllen die robusten Multitalente die unterschiedlichsten Aufgaben. Das Touch Panel Premium 15 und 19 erfasst Betriebs- und Maschinendaten, unterstützt die Personalplanung, rationalisiert die Kommissionierung, steuert Maschinen oder visualisiert Produktionsprozesse. Ausgestattet sind die lüfterlosen Geräte mit kontraststarken und äußerst langlebigen IP65 geschützten TFT-Displays, die auf Druck reagieren. Auch bei wechselnden Lichtverhältnissen und starker Sonneneinstrahlung garantiert das 15″ TFT und das 19″ TFT-Display eine optimale Ablesbarkeit. Die geringe Einbautiefe ermöglicht den Einsatz in Applikationen, bei denen wenig Platz zur Verfügung steht. Sie können somit sehr platzsparend verbaut werden. Für ausreichende Rechenleistung für anspruchsvolle Automations-Anwendungen in allen Bereichen der Industrie sorgen leistungsfähige, energiesparende Intel ATOM Z530 Prozessoren mit bis zu 2 GB. Ebenso verfügen die kompakten Touch Panele über einen erweiterten Temperaturbereich von -20°C bis +65°C. Die Touch Panele mit integrierten Stereo-Lautsprechern und Mikrofonen sind für Windows XP, Embedded oder Windows 7 geeignet. Die Inlay-Frontblende ist aus Acrylglas in den Farben weiß und schwarz oder mit Eloxal veredelt in den Farben silber und schwarz erhältlich. Das Unterputzgehäuse ist aus Edelstahl. Das schlanke Gerät unterstützt vielseitige Montagemöglichkeiten wie Wandmontage, Arm und Desktopständer. Alle Infos unter www.primo-gmbh.com. Fasti-Koch entwickelt seine Drucklufttrockner fu?r hygroskopische Kunststoffe weiter. Eine neue Steuerung u?ber Touch-Panel bei den Fasti-Koch Drucklufttrocknern bietet intelligente Granulat-Trocknung im Zusammenspiel mit höchstem Bedienkomfort. Die angepasste Steuerung regelt bedarfsorientiert den Energie- und Druckluftverbrauch während der Trocknung. Anwender können jederzeit in die Prozesse eingreifen und Parameter individuell anpassen. Zum Wiederabruf bereits verwendeter Materialien und Betriebsdaten steht ihnen eine interne Datenbank zur Verfu?gung. Fasti-Koch ist ein Unternehmen der Koch-Gruppe unter dem Dach der Werner Koch Maschinentechnik GmbH in Ispringen bei Pforzheim. In der Kunststoffbranche ist die Marke Fasti seit mehr als zwanzig Jahren ein Synonym fu?r innovative Granulattrocknung mittels Druckluft. Nach dem Konkurs des gleichnamigen österreichischen Unternehmens u?bernahm Koch-Technik die Insolvenzmasse einschließlich des Namens Fasti und den Rechten an den Fasti-Produkten. Seit dem werden die bewährten Granulattrockner mit der ERD-Drucklufttechnologie in einer Fasti-Koch GmbH produziert, weiter entwickelt und erfolgreich vermarktet. Die Esitron-Electronic GmbH aus Friedrichshafen am Bodensee stellt seit 1989 erfolgreich Steuerungseinheiten für die Automatisierung von Produktions- und Sondermaschinen her. Zu den Kunden zählen Firmen aus dem Bereich des Anlagen- und Maschinenbaus, für die kundenspezifische und individuell angepasste Lösungen erarbeitet werden. Neuheit ist das Steuerungssytem CPS 500, ein kompaktes Komplettsystem für die industrielle Automatisierungstechnik (Link zum Produktfilm: siehe unten). Die Steuerung CPS 500 umfasst für die Bedienung (HMI) ein farbiges wide sreen touch display und eine SPS (speicher-programmierbare Steuerung) sowie integrierte analoge und digitale Eingänge und Ausgänge. Für die Einbindung in Netzwerke stehen diverse Feldbusschnittstellen wie CANopen, Ethernet, RS232 und USB zur Verfügung. Bis zu 7 Erweiterungsmodule für weitere Ein- und Ausgänge können direkt am Gerät eingesteckt werden. Über CANopen – dem unter der europäischen Norm EN 50325-4 standardisierten Kommunikationsprotokoll für Automatisierungstechnik – lassen sich externe Module und Geräte problemlos ansprechen und ansteuern. Der Vorteil: das CPS-System ist damit entsprechend den Anforderungen mit hoher Granularität modular erweiterbar. Um Antriebe unter CANopen ansprechen zu können, wird eine umfangreiche Funktionsbibliothek zur Verfügung gestellt.Die Programmierung erfolgt vollständig unter CoDeSys, der weit verbreiteten Programmiersprache für industrielle Automatisierung. Von der Bedienoberfläche und Visualisierung über die SPS-Funktionen bis zur Ansteuerung von externen Geräten ist alles durchgängig programmierbar. Der Clou dabei ist, dass die Projektierung der SPS-Applikation und die Visualisierung in einer Oberfläche erfolgen und somit die Bearbeitung und das Engineering stark vereinfacht. 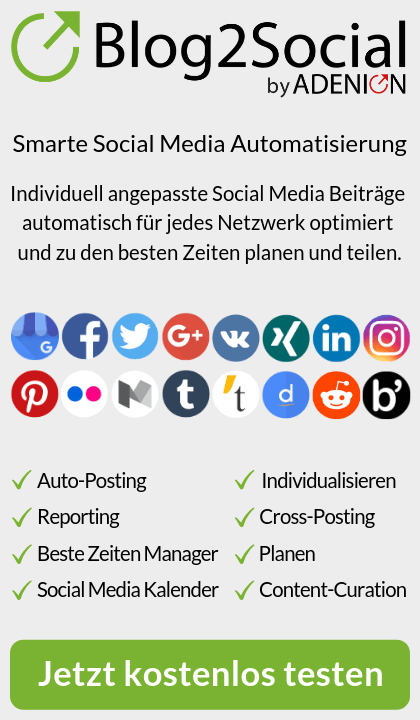 Die esitron-electronic GmbH hat den Anspruch, Automatisierungsaufgaben konsequent und erfolgreich umzusetzen. Dabei setzt das Unternehmen mit Sitz in Friedrichshafen auf Innovation und höchste Qualität bei seinen Produkten sowie auf kreative und qualifizierte Mitarbeiter, die für die Kunden aus unterschiedlichen Bereichen des Maschinen- und Anlagenbaus die optimalen Lösungen konzipieren, entwickeln und realisieren.